Truefitt & Hill Gentleman’s Beard Oil instantly stands out from the competition, housed in a long-necked 60ml bottle, that is reminiscent of products from yesteryear with a textured black label with silver writing. Truefitt & Hill was established in 1805 and remain the world’s oldest barbershop as stated in the Guinness Book of records and are barbers and Royal Warrant holders to H.R.H. The Duke of Edinburgh. Truefitt & Hill Gentleman’s Beard Oil is so different from any other beard oil I have tested before, a Green Tea and Cucumber scented oil that has a crisp and fresh aroma that left my beard smelling amazing and it feels like an oil from a high class company that has this history. This beard oil is a blend of Coconut, Avocado, Sesame, Jojoba and Argan Oil, it has a medium viscosity and gave my beard a nice hold. My beard felt soft and the oil gave it a nice healthy sheen without looking oily. 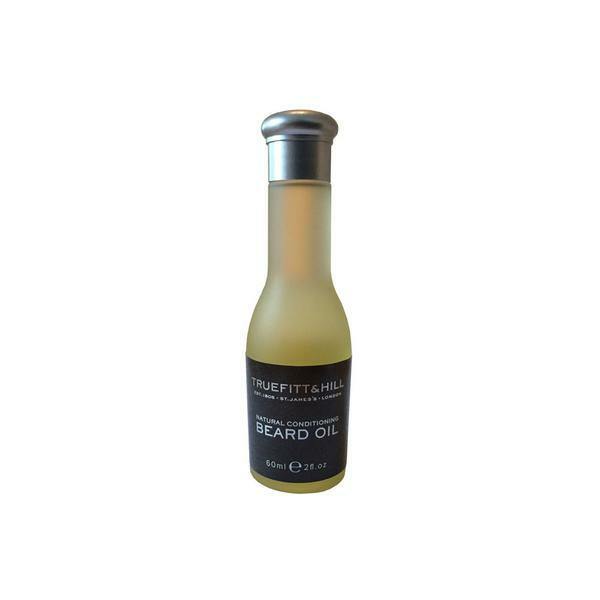 Truefitt & Hill Gentleman’s Beard Oil is available from their website and in-store at 71, St James’s Street, London SW1A 1PH and the 60ml bottle of Gentleman’s Beard oil costs £25. Truefitt & Hill also have stores in U.S, Canada, India, Malaysia, Singapore, Thailand, South Korea and Azerbaijan. ← I see, I sigh, repeat!